Links in this post are affiliate links. Purchases made through the links will earn me a small commission, thank you in advance if you decide to support my blog with your purchases. Milani has been killing the game over at the drugstore as of late with launch after launch of new products. As much as I love them, I have been holding back not just from buying any Milani, but a lot of drugstore products. I'm just trying to be smarter about how I spend my money. 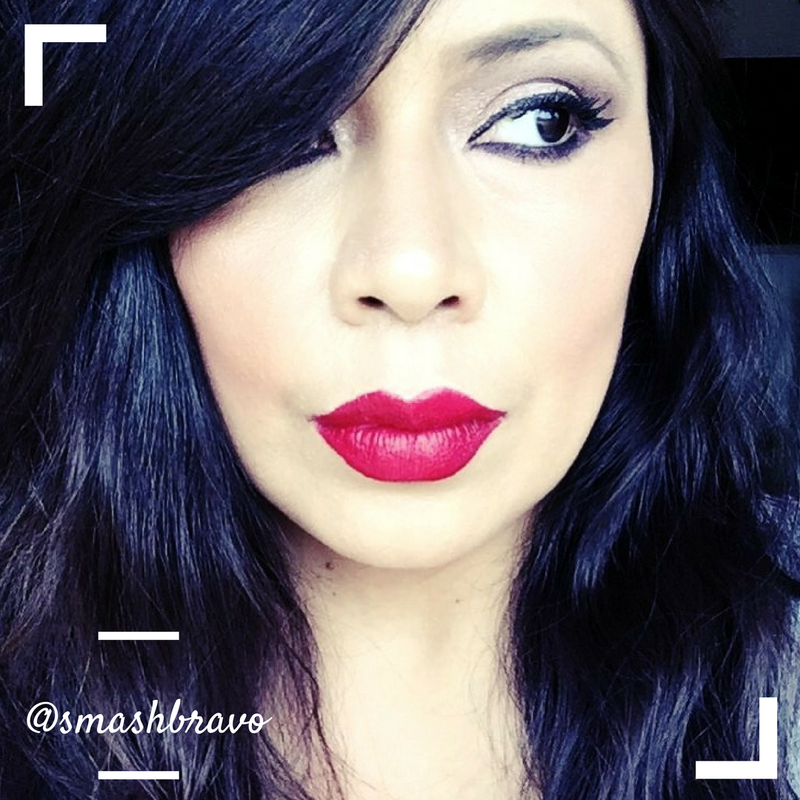 A few years ago I would have bought all the new items at the drugstore and not even blinked, but these days common sense has made me realize that I don't reach for 95% of my drugstore makeup items and the last thing I need to do is add more to the mix. Instead I have been careful in my drugstore selections - only choosing to dip my feet in every now and again and only when something really calls out to me. As did this beautiful little Milani Rose Blush Trio Palette. I actually spotted it one day on IG and by sheer luck I immediately found a complete display at the first Walgreens I went to the next day. I picked up the shade Floral Fantasy, which is so beautiful! There is a second shade called Flowers of Love that is also really pretty but has two shades that looked similar to my full-sized blushes and one shade that looked too light for my medium skin tone. The Milani Rose Blush Trio Palettes are $12.99 at Walgreens (exclusive) versus $7.99-$8.99 for a full-size Milani Rose Blush. While the pans in the trio are quite small, I do think the palette is worth the price. I've owned 5-6 of the full-sized blushes for a while and have barely made a dent in them. The formula of this trio is sublime and a treat to apply. If you own any of the Milani Rose Blushes then you will already know that Milani knows how to make a killer blush. Plus don't forget Milani's Luminoso, which happens to be my very favorite drugstore blush. This formula is easy to blend, it's pigmented but buildable, that way you can go from a light and pretty wash of color to a deeper blush. I also really enjoy the shades in this trio. With two matte blushes and one satin finish, you get a nice selection to work with - you can wear a single shade or you can mix and match to build your perfect blush. I was 100% certain that the satiny deeper shade would be my favorite, but after trying them all for a few months now, I love the first shade most. For someone who tends to be heavy-handed with blush, this is a perfect every day blush shade that can't be overdone. Overall I am incredibly happy with my purchase of the Milani Rose Blush Trio Palette In Floral Fantasy. It's actually been my go-to blush lately, I even included it in my recent Beauty Favorites post. I had originally thought that I would be sending this trip of to my daughter, just because I am drowning in blushes and wanted her to have this little beauty, but I am thinking of sending her two of the large blushes instead. I am just really enjoying this trio, especially that first matte shade, which I could literally wear daily and be completely happy. 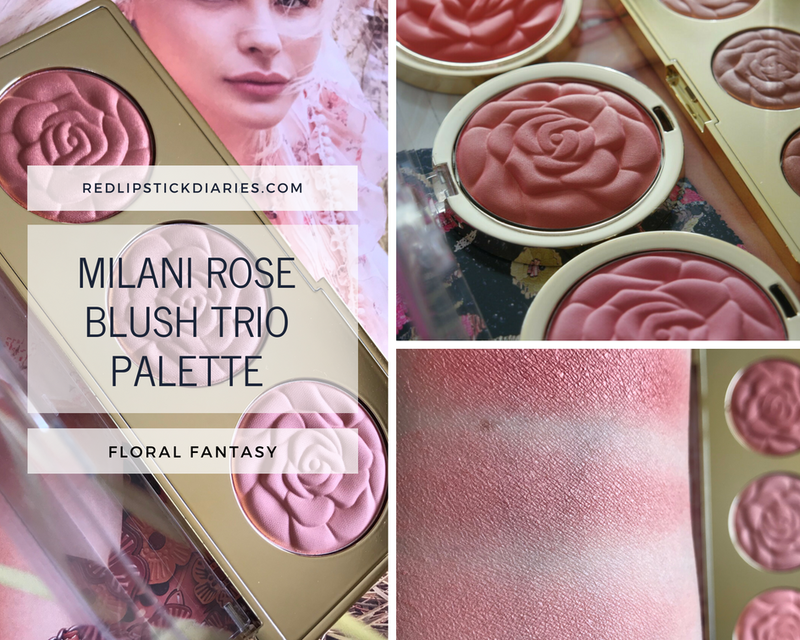 I would definitely suggest picking up the Milani Rose Blush Trio Palette In Floral Fantasy or the second shade if that is more to your liking. As usual, Milani has knocked it out of the park and I'm super stoked that it is now part of my collection.